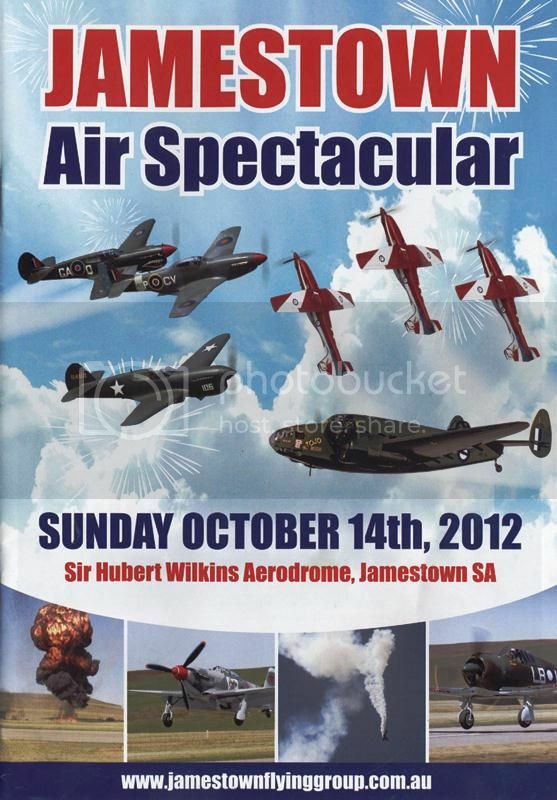 On Sunday 14th October Mitch and I drove across to Jamestown in South Oz for their annual Airshow and fly-in. This was probably the best organised and run country event I’ve been to. Huge crowd yet quick entry and plenty of room alongside the runway for perfect viewing. The show started on time and the action didnt stop. There were no breaks just a solid six hours of air show. This entry was posted on October 16, 2012. It was filed under General.